Today’s Social Platforms Are Dangerous. Can Mappen Build a Safer One? Social media needs a surgeon general’s warning. No, that isn’t hyperbole. We know social media is highly addictive. We know heavy use leads to less less moment-to-moment happiness and less life satisfaction. And as with tobacco products, we know teenage use is particularly dangerous: A study of 500,000 teenagers found excessive screen time promotes depression, anxiety, and suicide. A new app, Mappen, may look like other social media apps, but the comparison is like tobacco versus kale when it comes to user health. The story of society’s realization of social media’s harms also mirrors that of the tobacco industry. Executives swept social media’s risks under the rug for years. It wasn’t until independent studies began pointing in the opposite direction that employees and, eventually, leaders told the truth: social media is bad for our health. Can Mappen really be that different? Even Facebook CEO Mark Zuckerberg now admits that regulation of social media is inevitable. But unlike alcohol or tobacco, social media is an engineered sin, not a discovered one. Also unlike alcohol and tobacco, social media use has indisputable benefits, such as facilitating connections between old friends. The question is, does the evolution of social media like Mappen represent a true leap ahead? Specifically, is it possible to save social networking’s benefits while reducing its harms? Some in the tech world seem to think so, particularly when it comes to interpersonal interaction. After starting Jott, a messaging platform for users without constant internet connectivity, Jared Allgood co-founded Mappen, a social networking app to help teens connect in the real world. Allgood had grown concerned that while teens were using social media in droves, just 22 percent of them spend time with their friends after school, and Mappen was his response. “We realized the antidote wasn’t to tell teens to stop using social media,” the Mappen CEO told Forbes. “It’s like saying, ‘Eat your vegetables’ — it just doesn’t work. What does work is encouraging them to do something they enjoy, like spending time with their friends.” In this way, Mappen may have cracked the code to using social media to improve real social life. 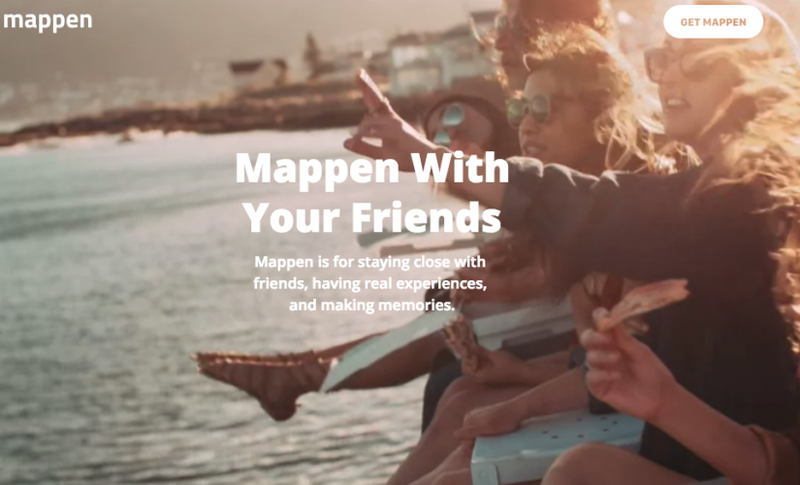 Mappen may offer users a healthier way to connect, but what about social media’s other positives? Can a platform for social conversation somehow discourage vitriol and sophistry? Companies like Reddit have certainly tried. Reddit communities, or “subreddits,” use an upvote and downvote system so members can vet stories. Each subreddit has its own set of rules, and some even use a whitelist system to prevent users from posting deceptive content. Reddit’s primary political community, r/politics, forbids hate speech, personal attacks, and only accepts submissions from publications with a history of truthfulness, for example. Although those safeguards have helped, Reddit remains a hotspot for sophisticated propagandists and spreaders of hate speech–a different outcome for the user experience entirely compared to Mappen. Even former Reddit CEO Steve Huffman couldn’t stay above the problem when, after being berated by members of pro-Trump subreddit r/thedonald, he surreptitiously edited comments critical of him and his decisions. Huffman later apologized and downplayed his actions, saying, “Making people bristle, being a little outrageous in order to add some spice to life — I get that. I’ve done that.” Many users, however, saw Huffman’s actions in the same line as the problem he set out to solve. “Manipulating the words of your users is [messed up],” one user commented. While Mappen works to improve human interaction, no social network to date has managed to create a healthier space for online discussion. But at least one has minimized negativity without limiting creativity and discovery. Pinterest offers a visual “board” interface where users can showcase their style while learning about others’ creations. Creative content exists on every platform, but just like Mappen is doing for friends who want to spend more time face-to-face, Pinterest has done two things to make it the heart of its site. First, it uses a unique pinboard system, which encourages users to explore their hobbies and interests by collecting content that resonates with them. In contrast, platforms like Instagram, Twitter, and Facebook–and even Mappen to some extent–put the focus on individual users. By making personal updates the platform’s center of gravity, they encourage a “me” atmosphere, where the most outrageous posts tend to net the most attention. Second, and perhaps more importantly, Pinterest requires users to take additional steps to view and make comments. While comments are immediately visible in Facebook’s newsfeed and counted by symbol in Twitter’s feed, Pinterest users must click on a post to even see if it’s been commented on. By doing so, Pinterest subtly shifts attention away from user commentary and onto the creations themselves. If emerging players like Mappen and stalwarts like Pinterest have discovered partial solutions to social media’s ills, why hasn’t a better platform been built? Because so far, each seems to require a limited ecosystem. Collecting others’ vacation photos and comments isn’t nearly as fun as collecting creative ideas and images, for example. Providing a platform for social discussion requires rules — such as one limiting submissions to whitelisted sites and banning certain types of speech — that could stifle conversation on other topics. No, social media’s new challenge is not coming up with individual solutions; it’s combining them in a way that creates — rather than fractures or limits — community. Perhaps such a platform, starting with the likes of Mappen and Pinterest, would continue to allow individual comments and status updates, but make them less prominent than long-form and visual content, as Pinterest has done. It might implement Reddit’s community moderation system, with enforcement augmented by algorithm-based tools that bring suspected violations to moderators’ attention. And like Mappen, it might encourage users to take regular breaks by showing them where nearby friends are on a map. As the evolution of social media continues, the Mappen approach in particular of fostering more genuine engagement might be a north star. Would designing such a platform be difficult? Absolutely. But so was society’s effort to wean itself from tobacco, saving countless lives. Was it worth it? Absolutely.